On September 18, 2006, the City of Stow passed Codified Ordinance 701 entitled “Alarm Systems” This law requires that every non-residential alarm owner and/or user apply for and obtains a license to operate that alarm. A copy of the ordinance and license application form can be found at the bottom of this page. The purpose of C.O.S. 701 is to counter the growing number of false alarms that are reported to the Police Department. Each alarm response requires a minimum of two police officers and can then tie up both officers for upwards of an hour. Often times these alarms occur when officers are needed elsewhere, such as car accidents, domestic disturbances or other emergencies. By registering the user, the City has the ability to reduce the number of false alarms through education, training, or monetary fines. Each applicant is required to pay a one-time processing fee of $50.00 and complete a standard application. 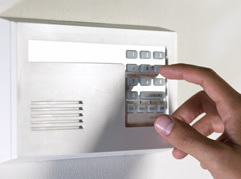 Licensed alarm users are then permitted two false alarms per calendar year. After the second false alarm the user is sent a warning letter along with educational material to help reduce the false alarms. On the third and subsequent alarm(s), the license holder of the alarm may be fined $50.00 per occurrence. The Police department will take into account extreme weather and other such factors that often cause false alarms. In addition, those alarm owners who show that they are making an effort to correct problem hardware or other causes may also be excused from the fine. It is the police department’s goal to reduce false alarms, not to generate revenue from them.